As 2018 draws to a close, we can agree that WWE has done SOMETHING right towards the end of the year. Yes, Crown Jewel was a disaster, but Survivor Series was arguably one of the best PPVs we have got all year. Yes, Raw pulled a clean sweep on Smackdown, but the quality of most of the matches was absolutely brilliant. Similar to last year, we got a couple of championship change hands ahead of the PPV and some champs kept holding on their belts just so WWE could advertise a dream match (Looking at you Nakamura). But, I can safely say that the end result has been satisfactory both times. Anyway, when I last wrote an article ranking all the champs, I was utterly horrified by the quality of the champions. The Tag Team division was severely underwhelming, the Universal Championship was held by a part-timing Beast (although it still is) and the Women's championships were held by Divas. This time, it is very much different. Although the Tag Team Division could still use some work, the women of the WWE are the hottest commodities in the company. The IC championship has taken the mantle of being the top championship on RAW in the Beast's absence, and we have an intriguing WWE champion. Some champions are relatively new to be judged properly, but we can make safe predictions. On the other hand, Superstars like Rollins, Rousey and Nakamura have held the championships long enough for fair judgements. Similar to last time, I will rank all the champions on the Monday Night Raw and SmackDown Live. Cruiserweight division and NXT will not be included (although Buddy Murphy would have ranked high on this list). A total of 8 champions will be judged on the basis of their in-ring performance, their rivalries and the overall prestige they bring to the championship. Disclaimer: The opinions expressed in the article by the writer do not reflect the views of Sportskeeda. One of the worst United States Champions. EVER. 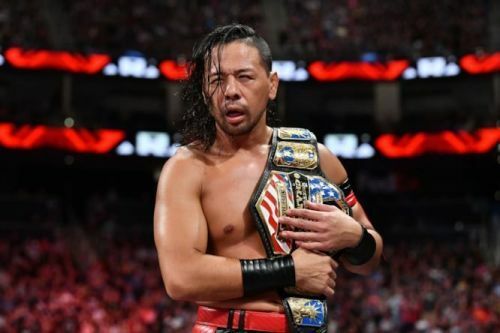 What happened to Nakamura? A year ago he was one of the biggest names of the company and was on a hot trail to become the WWE Champion. Now, he is degraded to be the worst singles champion who hasn't even defended the championship in what seems like years. After a quick Wikipedia search, I created the list of his title defences. He won the title at Extreme Rules from Jeff Hardy after a low blow brought the former champ to his knees. After that, he defended against Hardy at Summerslam, Rusev and R-Truth on SmackDown Live episodes and the Bulgarian Brute again at Crown Jewel. So, in a total of 130+ days as champion, he has defended the belt at two PPVs and at two episodes on the Blue brand. Let's put aside the number of defences for a minute and focus on his rivalries. Throughout his title reign, the only rivalry he has been involved in is the Hardy vs Orton feud. Even in that rivalry, he was just treated as a side attraction. Since Summerslam, he has just floated around the roster, rarely appearing on weekly shows and PPVs. Yes, his match against Seth Rollins was good, but it was neither a title defence, nor a relevant bout. In addition to that, his title win always seemed like a consolation as he couldn't capture the big one from AJ Styles. Thus, he is at the bottom of the list.